I have seen Dream Catcher nails a couple of times now, however this particular time I was inspired by Fee from MakeUpSavvy. The challenge of Indian made me think of native American dream catchers. 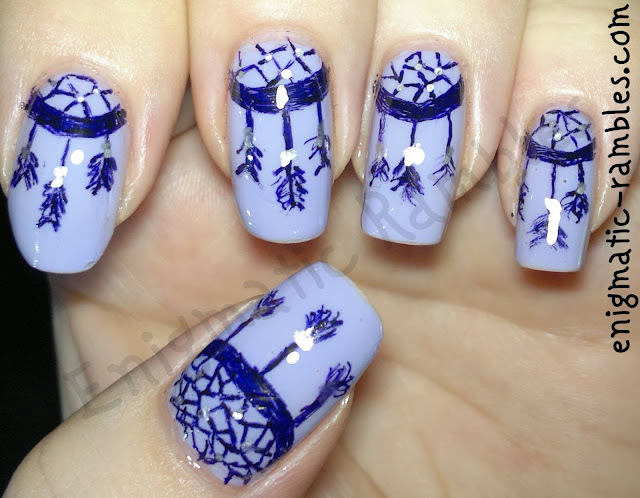 I used a gel pen to draw on the dream catchers and the silver highlights.